While the project status might be questionable due to Microsoft acquisition of Nokia’s devices division, that doesn’t stop the renowned serial leaker Evleaks from teasing exposing yet another information regarding the previously leaked Nokia‘s Android-based smartphone. This time, it is a set of screenshots that depict the device’s – codenamed Normandy – interface. Just as per initial report that stated how the device will be utilizing a modified version of Android OS, the interface is totally different from a stock Android. 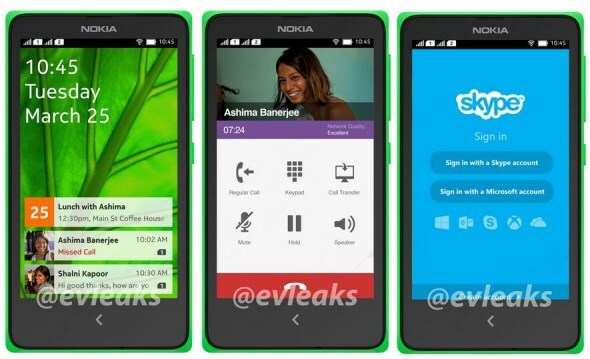 Instead, it seems like a combination of elements from Asha platform and Windows Phone. Additionally, the screenshot also depicted the existence of dual SIM support for the Nokia Normandy. 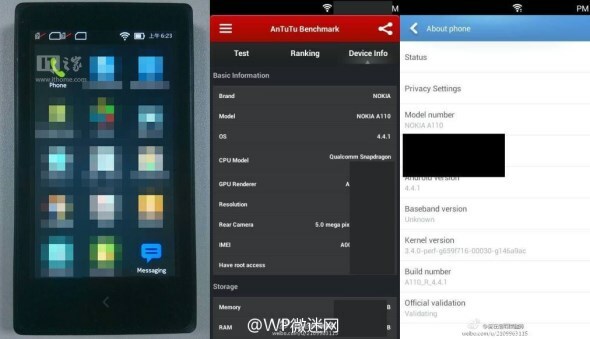 In another separate report, additional set of screenshots have revealed the device’s model name as Nokia A110. The screenshots have also stated that the device is running Android 4.4.1 and powered by a Qualcomm Snapdragon processor although the rest of the specifications have been blacked out. Not to forget, the device also features a 5-megapixels camera. It is quite obvious that the development of Nokia Normandy have reached such an advanced stage that the device seems to be ready for release very soon. Well, I guess we will eventually learn its fate very soon since Mobile World Congress 2014 is just around one month away.